Hebrew manuscripts of the Tarazona Cathedral. Edition published in honour of the II Jornadas de Sefarad en Tarazona, held from 27 July to 28 August 2001. 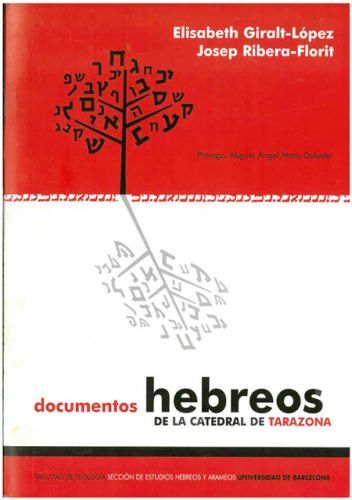 Translation and description in Spanish of the Hebrew manuscripts, in Sephardic style and mostly of a Biblical nature, which were found in the Archives of the Tarazona Cathedral between 1997 and 1999. These documents evoke some of the history of the Jewish community of Tarazona.